A few weeks ago my cousin told me about putting Lavender Oil into your mascara. Y'all know that I am kind of a mascara freak :) so I had to try it. Especially once she told me that is will help my lashes grow longer and thicker :) I mean, who doesn't want longer thicker lashes, right? Also, it is supposed to help keep your mascara less clumpy. "Lavender (Lavandula angustifolia) has a scent that’s a wonderful blend of fresh, floral, clean, and calm. It’s this dynamic aroma that has made the flower a classic for perfumes, soaps, fresheners, and beauty products." It was super easy to do, I simply got one of my mascara tubes (yes, I have several tubes of mascara and I use different tubes depending on what type of make-up I am doing ... and that is another blog in itself) and my Lavender Oil. 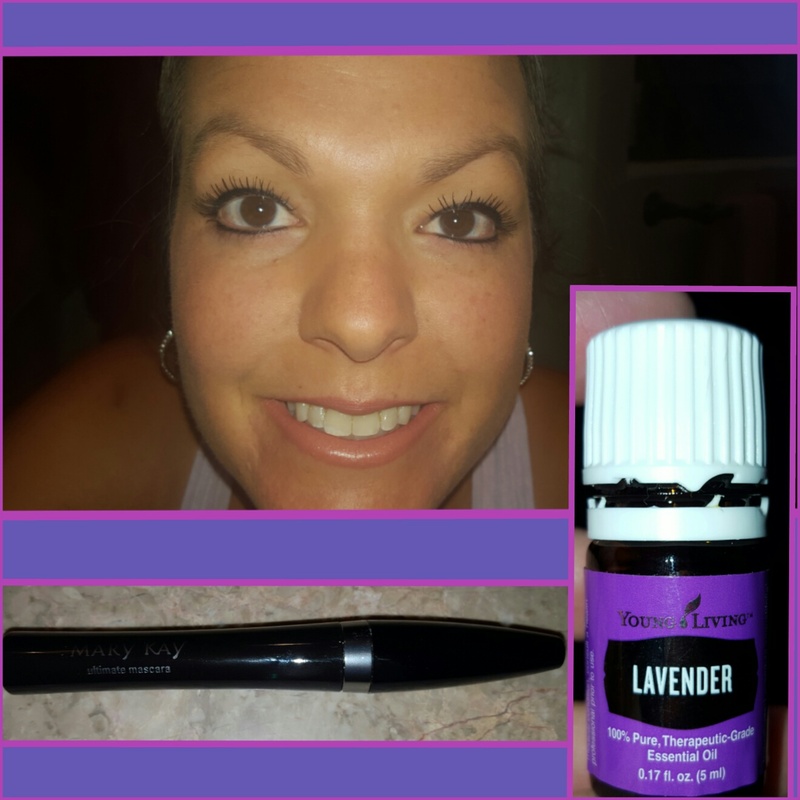 I added 1 drop of Lavender Oil to my Mary Kay Ultimate Mascara, mixed it up real good, and applied the mascara to my lashes. The outcome was wonderful, my lashes gave a fresh smell for the majority of the morning. They were thick looking, and I had good mascara all day long. I have since used this mascara three times and each time I have really enjoyed it, it gives me a fresh feeling. I will definitely add Lavender Oil to my future / other mascaras. I did not experience any negative side effects, I thought that my eyes might water, burn, or itch having lavender that close to my eyeball BUT I experienced no such thing. "Lavender essential oil isn’t just a favorite because of its classic scent—it’s also highly versatile. From skin care products to relaxing routines, this oil can infuse many areas of your life." · Treat yourself to this well-loved aroma by adding a few drops of oil to lotions, shampoos, and skin care products. · Create a spa-like retreat by combining 1 cup Epsom salt and 4 drops oil and adding to a hot bath. · Make a basic homemade body scrub with coconut oil, sugar, and Lavender essential oil. · Unwind with a Lavender-infused neck or back massage. · Use Lavender as part of your evening routine. Rub oil on the bottom of your feet before bed or spritz your pillow with distilled water and Lavender mixed in a spray bottle. · Create a DIY room freshener with Lavender or diffuse it to banish stale odors. I was craving chicken salad today, so I decided to make a "Clean Eating Chicken Salad Wrap" and it was FABULOUS!!! 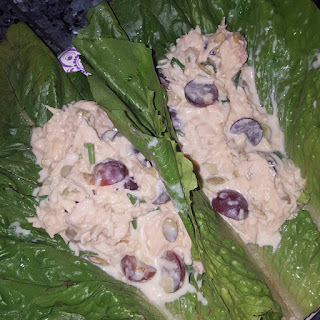 I don't really measure things when I get an idea like this so please bear with me:) I would add more chicken next time so that is is not too runny, it was a messy eat ... but totally yummy!